Jayne is passionate, caring and compassionate and would love to see you on the mat at one of her classes. Jayne has always had a keen interest in physical fitness and health. She has a degree in Psychology and Physical Education studying at St Mary’s College in London and has always participated in some type of sport or fitness. However, it wasn’t until she was pregnant with her first child 25 years ago, that she was introduced to yoga … and so her yoga journey began. 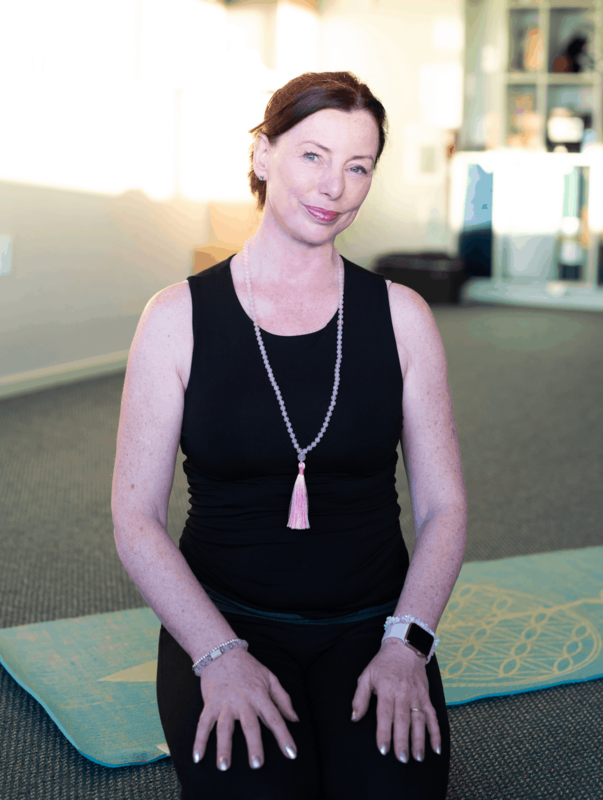 Over the years Jayne has continued her own yoga practice and also to explore and widen her knowledge of natural health and healing becoming a qualified reflexologist and then after moving to NZ in 2003 becoming an Emotional Freedom Technique practitioner. She studied for her 200hr Yoga Teacher training with the wonderful and inspirational teacher, Adele Kingham, here in Auckland and she has also completed her 50hr Pregnancy teaching module. Yoga is now intertwined with so much of her life and who she is that Jayne just wants to continue learning, gaining more knowledge and sharing her passion in her classes. She aims to create a safe environment for her students with a mix of alignment, breath work, physiology and yoga philosophy in a light-hearted, non-judgemental approach so her students can challenge themselves and gain insight for their own personal development. Jayne’s main focus in her class is one of Vinyasa Flow – a sequence of Asana linked together with breath that will challenge and energise her students creating strength and flexibility. The sequences will vary from week to week depending on the focus which maybe working towards a peak pose, exploring an area of yogic philosophy, connecting with nature or the seasons, or maybe a Full Moon gentle, mindful, stretching sequence. The classes are suitable for all students as modifications and props are used so that everyone can find their appropriate level. The environment is one of support, encouragement, non judgement and also of lightness and fun. All classes begin with a gentle warm up, moving into the flows and then finishing with floor poses, all the while emphasising the breath and at times working on specific pranyama (breath work) techniques. The class is completed with the ultimate rest, restore and relax pose Svasana. The aim is for students to leave feeling centred and balanced, freer in their body and calmer in their mind.